In The Death of Superman, the inevitable happened. 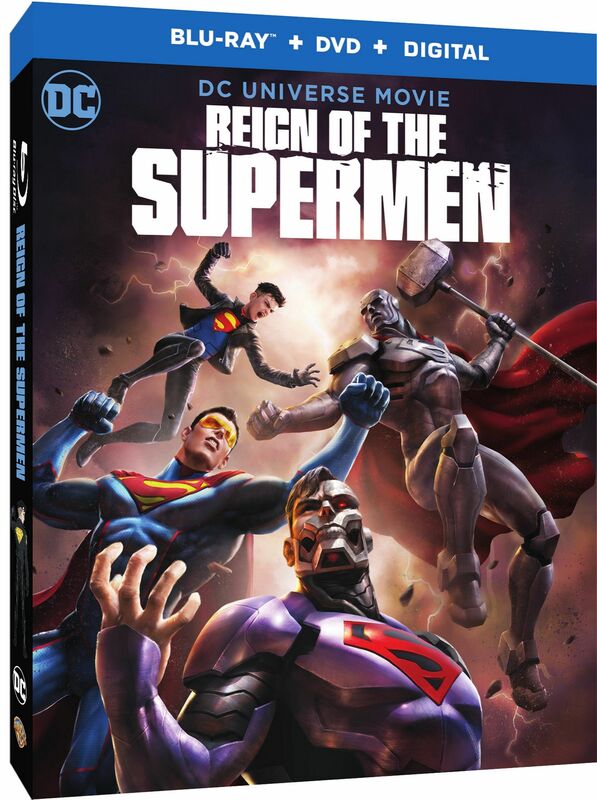 That’s normally where adaptations of the acclaimed DC Comics’ storyline end, but Warner Bros. Home Entertainment’s latest animated release, Reign of the Supermen, finally brings the story’s continuation to a screen near you. While you can read my review of the first film here, I’m happy to say that the sequel carries on with the same quality that preceded it. Beautifully animated, compellingly told, and expertly acted, and with a thumping good soundtrack and effects work to boot, Reign of the Supermen is worthy of the source material. Now available on Digital, Ultra HD Blu-ray Combo Pack and Blu-ray Combo Pack, Reign of the Supermen is a worthy addition to your DC animated movies collection and makes for a stunning finisher of the one-two punch that is this fan-favorite storyline. Fans of the comics and other adaptations of the “Death of Superman” arc will recognize Steel, Cyborg Superman, Superboy and the Eradicator as soon as they appear on the screen, but Reign of the Supermen does a nice job of establishing their particular quirks. 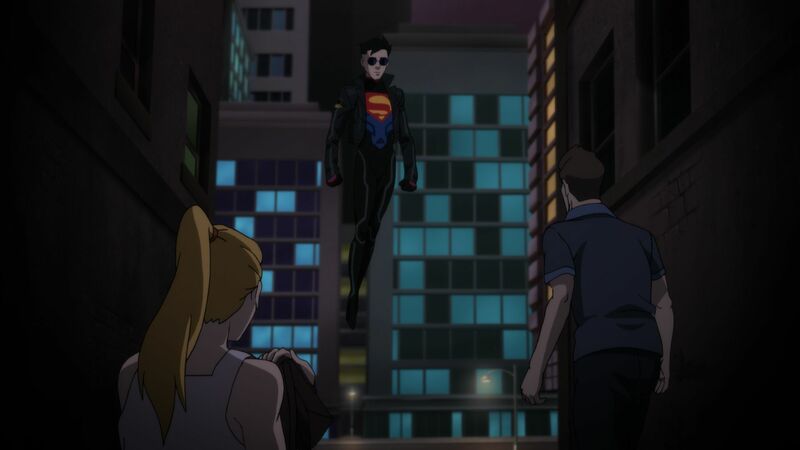 Superboy makes a flashy entrance as a stylish superhero who seeks the spotlight, Steel steps into the path of danger to save an innocent life, Eradicator (distinguished by his yellow, see-through visor) neutralizes some arms dealers, and Cyborg Superman launches a terrorist’s nuke out into the relative safety of space. Everything seems on the up and up with this foursome, and even though the world is mourning the loss of Superman and wondering what to do next, these replacement heroes seem more than up to the task. The conflict here, however, is two-fold: Not only does Superman’s death and the arrival of these mysterious super-powered stand-ins seem too good (and coincidental) to be true, there’s also the fact that the Earth now has a bigger target on it than ever before. This threat from extraterrestrial forces overtaxes the remaining members of the Justice League and encourages ordinary citizens to take matters into their own hands. That’s some rich storytelling material to work with, and Reign of the Supermen doesn’t waste a bit of it. 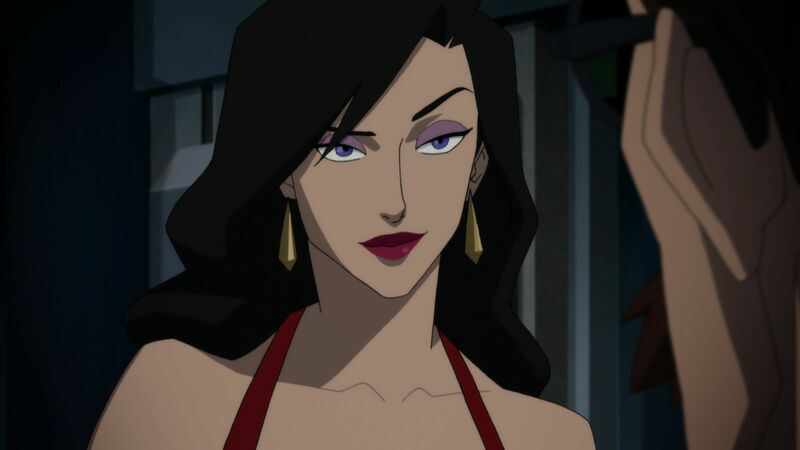 We get to follow along with the Justice League’s struggles for a time, though the bulk of the drama centers on Lois Lane’s investigation, Lex Luthor’s machinations, and the step-wise reveals of each pretender Superman’s origin and ultimate goal. It’s solidly done, beginning to end. The all-star cast of Jerry O’Connell, Rebecca Romijn, and Rainn Wilson, with returning players like Jason O’Mara, Rosario Dawson, Shemar Moore, Nathan Fillion, Christopher Gorham, and Nyambi Nyambi, are joined by newcomers Cress Williams (Black Lightning) as Steel, Cameron Monaghan (Gotham) as Superboy, Patrick Fabian (Better Call Saul) as Hank Henshaw, and Tony Todd (Candyman) as Darkseid, with Charles Halford (Constantine) as Bibbo Bibbowski and The Eradicator. It’s one of my favorite casts this team has assembled since the halcyon days of the Batman and Superman animated series. Those who have worked together in this franchise before bring a familiarity to the characters’ relationships that feels genuine, and the newcomers are acting as outsiders to this core group, so being less familiar works to the story’s benefit. There’s a ton of action to be found throughout the telling since we not only get four times the Superman but we also see the Justice League head into battle. The humor throughout the movie is reined in a bit since it deals with the mystery surrounding the death of the world’s greatest hero and the threat posed by these imposters (and those seeking to use them), but there’s still plenty there in just the right amounts to break up the tension. And while this is a fantastic adaptation of “The Death of Superman” saga in the comics, it’s also a great place for newcomers to that story who are meeting these characters for the first time. This is an easy add to your collection, especially if you have The Death of Superman on your shelf already. Sneak Peek at The Justice League vs The Fatal Five – This sneak peek at the next animated movie features specific, unique opponents for the title team to take on. Expect to see your favorite heroes along with a whole bunch of lesser-known characters. Batman, Superman, and Wonder Woman are joined by Mr. Terrific, Miss Martian, Jessica Cruz (Diane Guerrero in the lead), and Starboy, to battle against Tharok, Emerald Empress, Validus, Mano, and the Persuader, creations of Jim Shooter. Not based on one specific storyline, they adapted a number of Legion of Superheroes comics and the surprisingly powerful Fatal Five. Mano apparently blew up his own planet just by touching it, Persuader carries an atomically sharp axe, Tharok acts as the hacker/bombmaker/resident genius, Validus possesses brain-lightning and superhuman strength, and their leader, Emerald Empress wields an incredibly powerful Eye of Ekron. Get excited for this one! Lex Luthor: Greatest Nemesis – DC Comics veterans comment on the history of Lex Luthor, his particular personality traits, his deep-seated issues with Superman, and what the supervillain’s greatest achievements have been to date. Superman: The Animated Series “Heavy Metal” – Animated introduction of Steel, and a nice moment for Superman superfan, B. Bibowski. 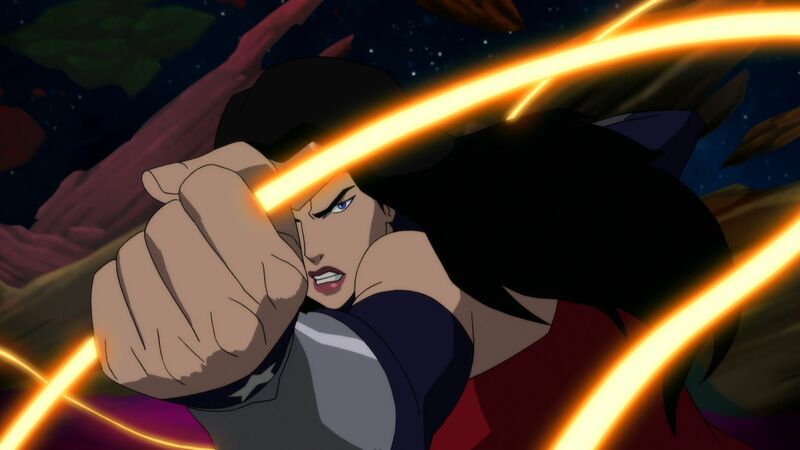 Justice League Unlimited “Panic in the Sky” – Steel returns as part of the Justice League to tackle a new threat. This is a super intense episode rarely outmatched in other adaptations, live-action or animated, big screen or small. It’s also got one of the most insane endings of an episode ever, so it’s definitely worth a watch.